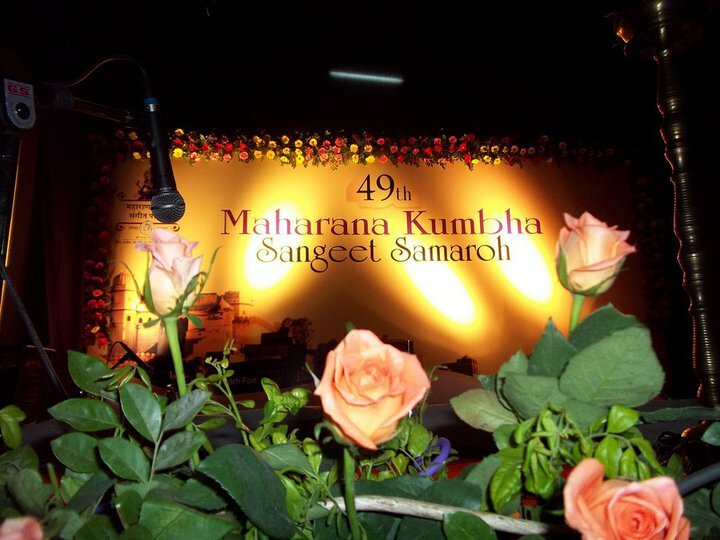 Since 1962 , Maharana Kumbha Sangeet Kala Trust organizes The Maharana Kumbha Sangeet Samaroh in loving memory of Maharana kumbha who was not only an proficient musician but also a great authority on the subject and science of music. The foremost motive of the celebration is to promote the Indian classical music and art. Maharana Kumbha was a great ruler of Mewar and was an extreme lover of science of music and legendary commentaries in Sanskrit. He believed that Music (sangeet) is the elixir of life. It is not simply a part of entertainment. It is essential to develop sensitivity and compassion, the most important aspects of human life. Thus in the fond memory of Maharana Kumbha, The Maharana Kumbha Sangeet Kala Trust promotes and encourages indian classical music, dances, arts, drama, and other activities of cultural importance. 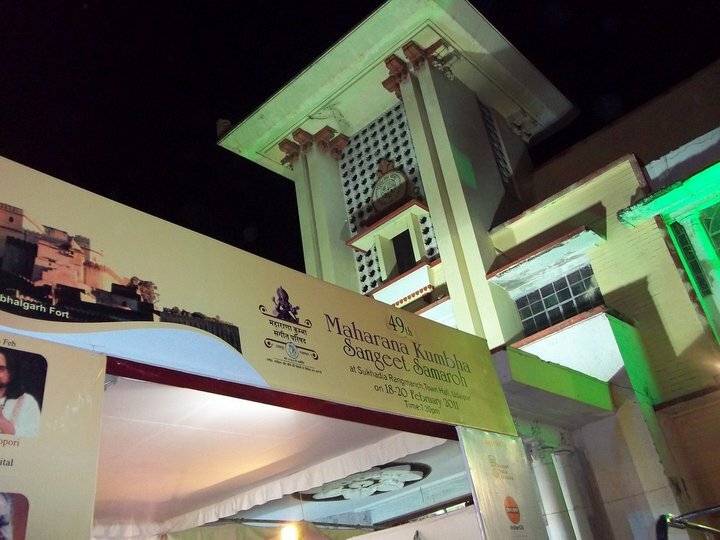 It was the 49th Maharana Kumbha Sangeet Samaroh, a much-respected and eagerly awaited event of Indian Classical Music. Unsurprisingly, expectations from this event are always high since chief legends of Indian Classical Music performs in this outstanding Event. The function was performed on 3 different days at Sukhadia Rangmanch , Town Hall in evenings starting from 7.30 pm till midnight. Many legends of Indian classical music performed in the samaroh this year like Santoor Legend- Pandit Bhajan Sopori , Flute legend- Pt. Hari prasad chaurasia , Kathak legend- Smt. 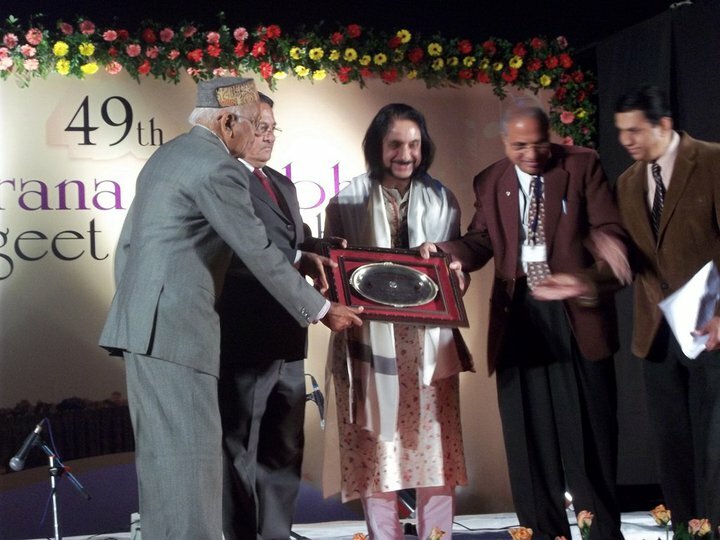 Rani Khanam and Tabla maestro- Ustad Zakir Husssain. 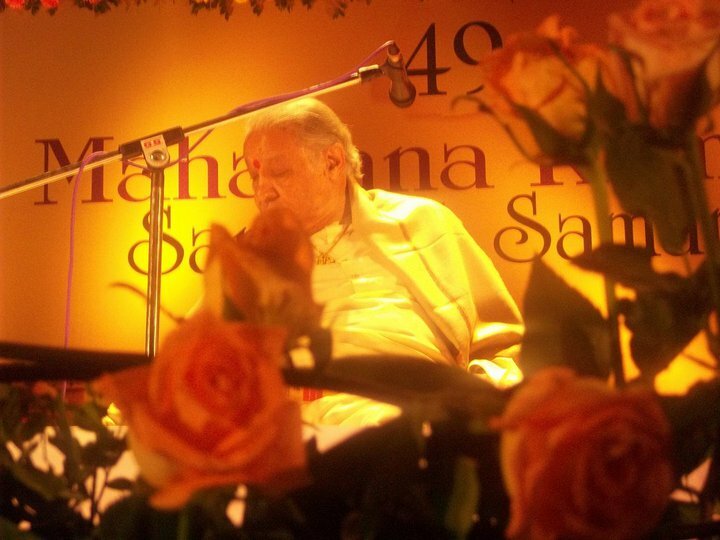 also Padma Bhushan Pandit Rajan-Sajan Mishra, Pt. Rajan Sajan Mishra, Sh. Sudhir Pandey, Pt. Vishwamohan Bhatt and Sh. Ram Kumar Mishra etc. Day 1: It was the foremost and the sweetest evening with performances of Santoor and flute .As expected on the first day with the sweetest musical instruments we have i.e, Flute and santoor. An amazing evening with splendid santoor recital by Santoor Legend Pandit Bhajan Sopori and also accompanying a marvelous Flute Recital by Flute legend Pt. Hari prasad chaurasia which completely and charismatically altered the ambience of the hall – filling it with unprecedented colours of joy, peace and harmony. Day 2 : It was the second subsequent evening of the celebration and hence was organized for some warm kathak dance show. Smt. Rani Khanam (the only Indian Muslim Female Classical dancer of note) created a bold dazzling evening performing on Islamic verses and duet vocals Recital by Padma Bhushan award winner Pandit Sh. Rajan Sajan Mishra (Vocals) accompanied by Pt. Vishwamohan Bhatt (Mohan Veena) and Sh. Sudhir Pandey & Sh. 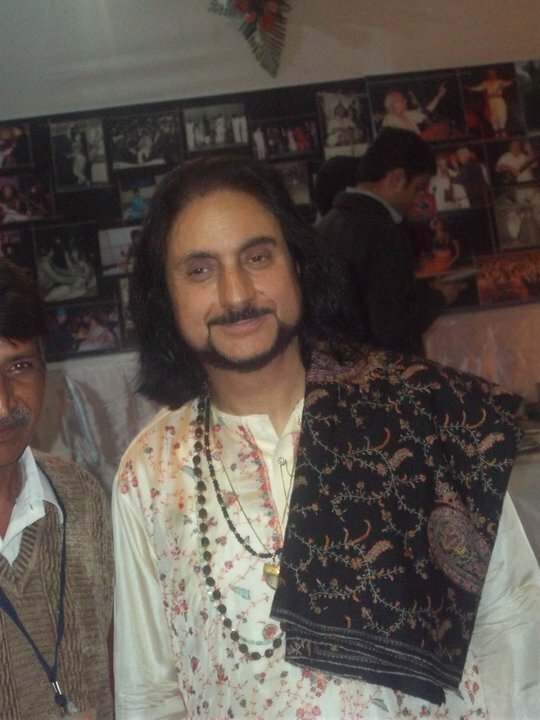 Ram Kumar Mishra on (Tabla). The audience got delighted and overwhelmed watching the immense kathak performance live. Day 3: It was the third and the ultimate evening of the celebration. I will not call it the last evening since it was an evening which got engraved in everyone’s heart and mind thus was an ultimate evening. It was an Ustad’s (maestro’s) evening. Yeah u guessed it right, it was a tabla night actually a Zakir Husssain’s (maestro’s) Tabla night. 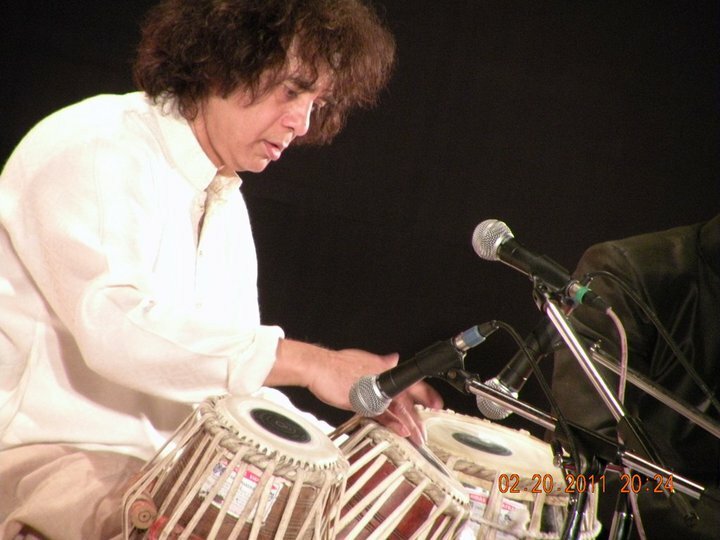 So, now I hope you would have understood why I described and sounded like that or may be I sounded like that because I am, myself a huge fan of the table maestro Zakir Hussain. I feel contented to tell you that Ustad’s tabla Recital made the audience speechless. I think his performance, my god, was out of the world and nobody can describe his performance in words. Ustad while performing also cracked some great jokes and tales. His super sense of humor made the audience giggle and hoot many times. Ustad left the stage promising his next year arrival to the city and made people extremely happy and fulfilled.